The fields of early childhood education and human services are all about meeting people's needs and preparing them for long-term success and happiness. As a trained educator or human service specialist, you'll draw on the skills and knowledge you've learned here to solve (and prevent) a variety of problems, and improve the quality of life for others in your community.  A degree or certificate in education and human services is your path to a rewarding career, and it all starts at Seattle Central College. Why train at Seattle Central College? Ready to get started? Find the Education & Human Services program that’s right for you.